Now why would you wear cufflinks? Because buttons are boring. Cufflinks, on the other hand, are bling without the fanfare. The only few instances when they reveal themselves are when you shake hands, when you light your smokes, or when you own faulty cufflinks that keep coming loose on the table during a meeting with a beautiful Jewish department storeowner, who soon replaces them with a better pair of tiny steel knights, and it’s a score for you. So cufflinks are not just ornamental, they’re also functional (and we’re talking about linking your cuffs here). 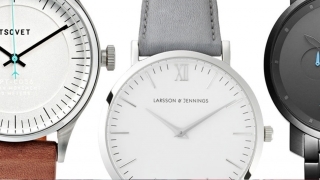 They’re truly a man’s accessory, which was, in fact, inspired by a female trend back in the early 16th century when women fastened their shirt cuffs with ribbons. 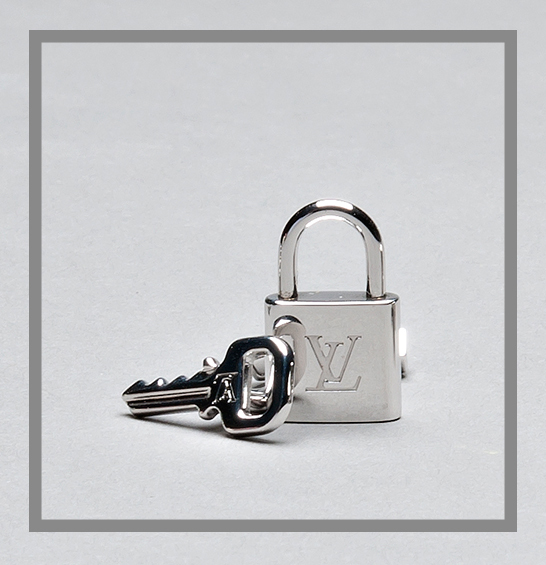 It took the next hundred years for men to follow suit, but this time using a small chain or loop with buttons made of precious metals at both ends to keep them together. Naturally, because of the costly material, these early versions of cufflinks were only worn by the moneyed. In the late 18th century, the industrial revolution happened and technology made it cheaper to make men’s jewelry, and thus more accessible. The 1920s and 1930s saw more innovations with designers inventing the hinged T-post and the snap-together. The demand for cufflinks soared until the 1970s when mass-produced shirts came with buttons on their shirt cuffs. 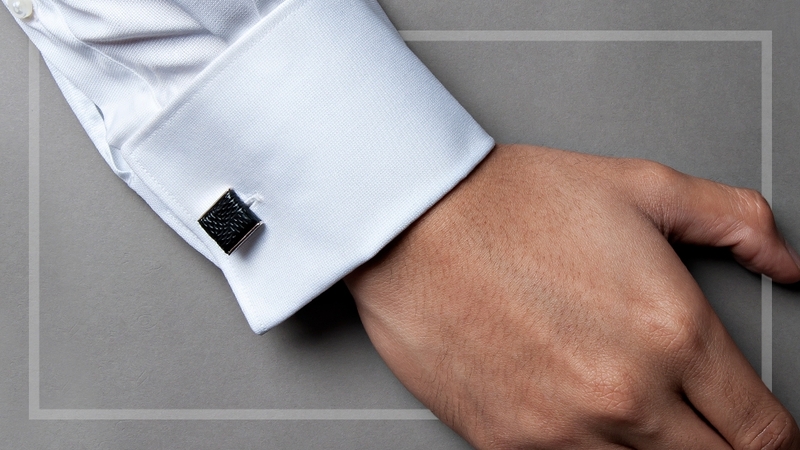 With this new convenience, the cufflink lost its popularity. And as the world entered the age of business casual in the 1990s, this symbol of gentlemanly style has become an endangered species seen only at very formal occasions. But today, men have again started to use cufflinks not solely for their function but in order to express their individuality and personal style. On one end of the spectrum, you have the inexpensive stuff, and on the other, the meticulously handcrafted pieces. 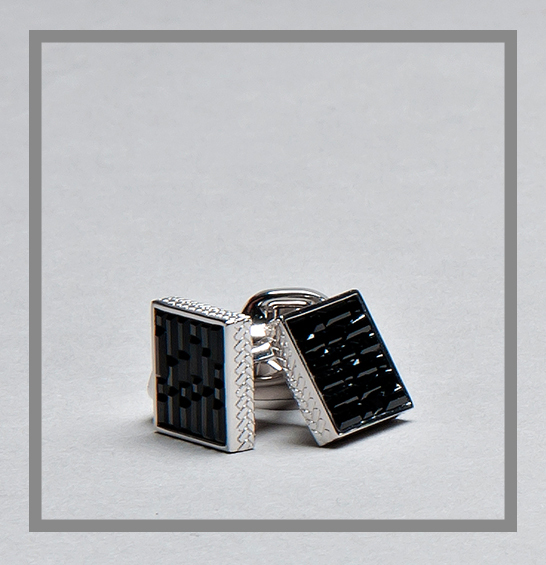 There is a cufflink for every budget and design. There are many ways to go about choosing cufflinks, but the general idea is that your cufflinks should speak about you. When everyone is dressed in a suit with buttoned cuffs, your racket-and-tennis-ball cufflinks peeking under your jacket will subtly say that you love, well, tennis. 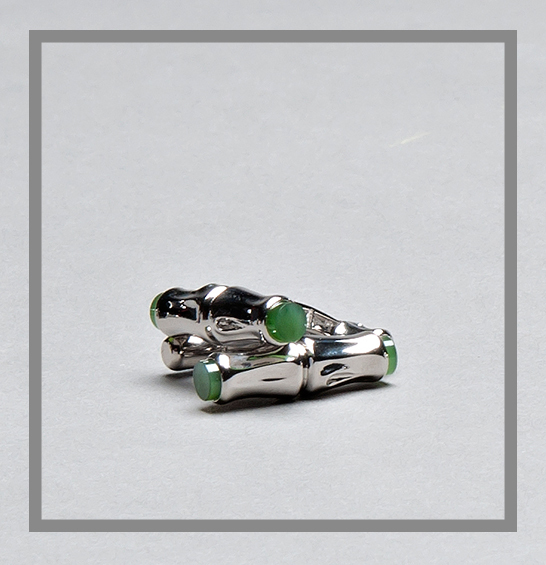 You can also pick intricately designed cufflinks of precious metals and gemstones. 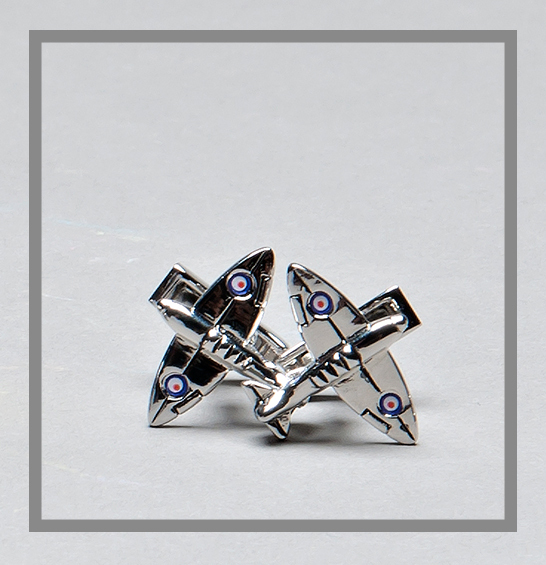 These cufflinks are for the gentleman who enjoys the finer things in life and can afford such luxuries. A note of caution: It is not recommended for most men to wear cufflinks at the office because buttoned cuffs are more appropriate. But if you are the boss, you can wear cufflinks as a sign of seniority. 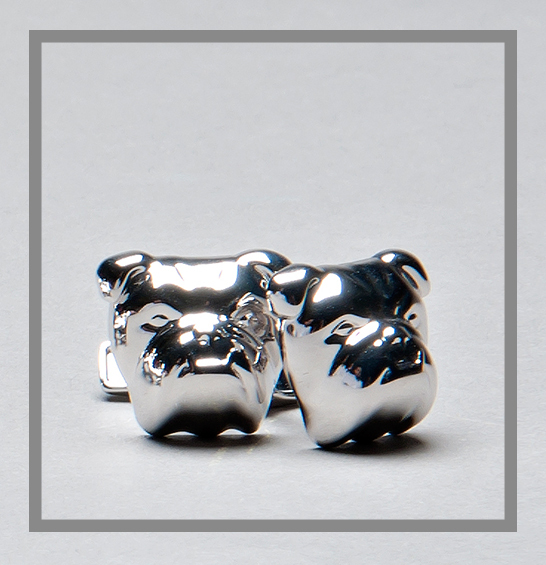 Social events such as galas, weddings, operas, and balls are the best time to wear cufflinks. The key is to keep them understated. They should never attract too much attention. If the event is strictly formal, such as black tie, wear matching stud sets and cufflinks with your tuxedo or dinner jacket. 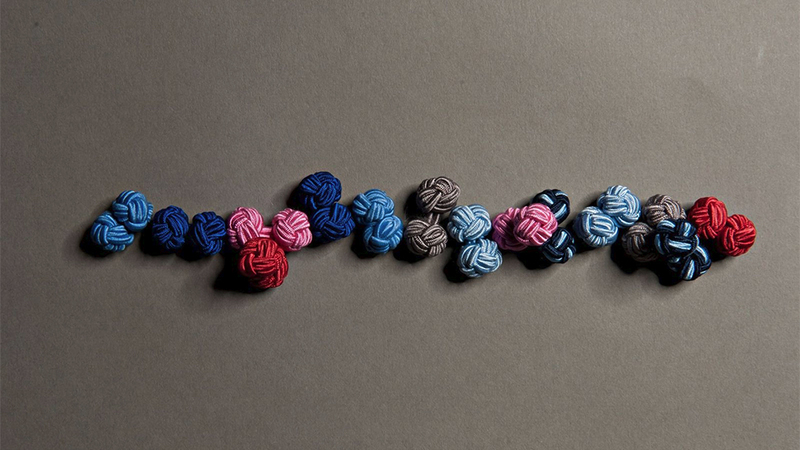 The esteemed Parisian shirtmaker Charvet introduced cufflinks made of two silk knots known as the Monkey’s Fist in 1904. The great thing about knots is that, because they are inexpensive, you can easily build a collection in many colors. Remember to choose a color that complements the tie or pocket square you are using and not the color of the shirt you are wearing. An exception to this are white or black silk knots. These are appropriate for black tie events. IMAGE Silk knots (P490) by T.M. Lewin.